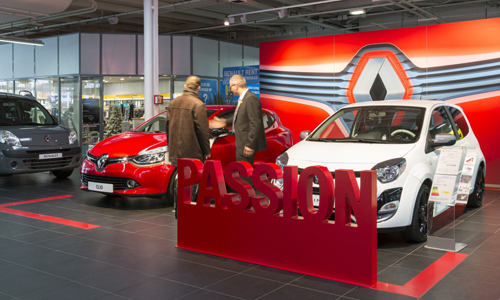 Renault wants to revolutionize the customer relationship by rethinking the whole customer experience. The idea is to offer customers a seamless experience from the Internet to the physical retail network, by linking the online research, purchase and after-sales service phases. Customers should be able to move from one phase to another without losing track, losing information or losing contact. Loyalty offers tailored to their profiles and vehicles. Customers will be able to track their orders, book test drives, schedule a service for their vehicle, and receive bonus offers on MY Renault.Com. The program and its strategy were developed in response to research conducted by Renault in March and April 2011 in five countries – France, Belgium, Italy, Russia and Brazil. To find out more about consumers’ car-buying expectations and behavior, a 70-question survey was put to more than 7,000 people. The main conclusion of the survey was that the widespread use of digital media in all areas of life – social networks, forums and the world wide web – means that carmakers will have to radically change the way they do business. On every continent and regardless of the type of national economy, there is no longer a clear line between the virtual and the real worlds. Today’s customers are highly informed and have very different expectations. Customers demand increasingly high standards, often based on their experience with other retail sectors. 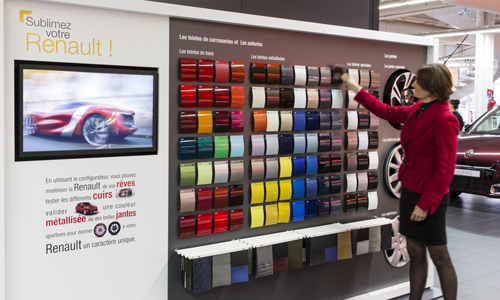 Therefore Renault needs to set up a smooth, continuous link for customers between virtual reality and the physical retail network, which adds value to every stage of customer experience. The Renault program designed to satisfy these new expectations is called C@RE (Customer Approved Renault Experience) internally. C@RE incorporates the three key moments in the purchase experience: conquest, conversion, loyalty. The C@RE program consists of 40 projects. 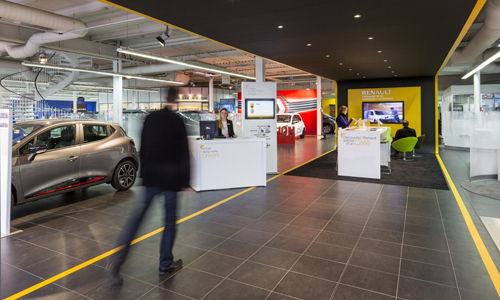 The most visible projects for customers include the 3D configurator, the My Renault customer personal space portal, the Renault Stores, behavioral training for technicians and sales staff, the Customer Promise, touch tablets for customers and front-office staff, Pit Stop Servicing, and the after-sales tablet for the service advisor.